Institute Complex with Hostel and Club etc. at Nagpur for PETS. Construction of PETS Complex at Durgapur, W.B. Construction of Type A, B, C, D Quarters and CMD Directors Bungalows for MECL at Nagpur. Construction of Food Grain Godowns in U.P., Delhi & Rajasthan for FCI. Construction of Quarters, Officers Mess & other Residential and Non-Residerntial Buildings for Assam Rifles in all Eight states of North East Region. Dust proof Centrally Air-Conditioned Building for Housing Phytotron facility at PUSA Delhi. Residential Quarters, Development Works, Sub-Station etc NIH Colony, Roorkee and Kakinada. Construction of Central Power & Research Centre at Pune. 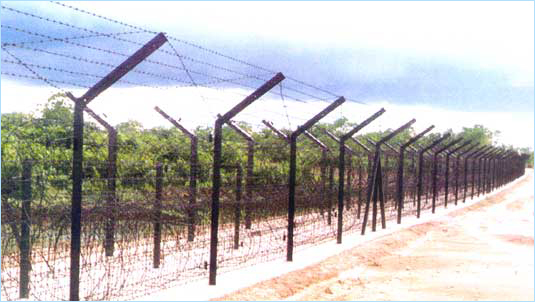 Providing Border Fencing at Indo-Bangla Border at Tripura. WTCER / NRCWA Complex at Bhubaneswar. Tripura Tribal All Areas District Concil Complex near Agartala.